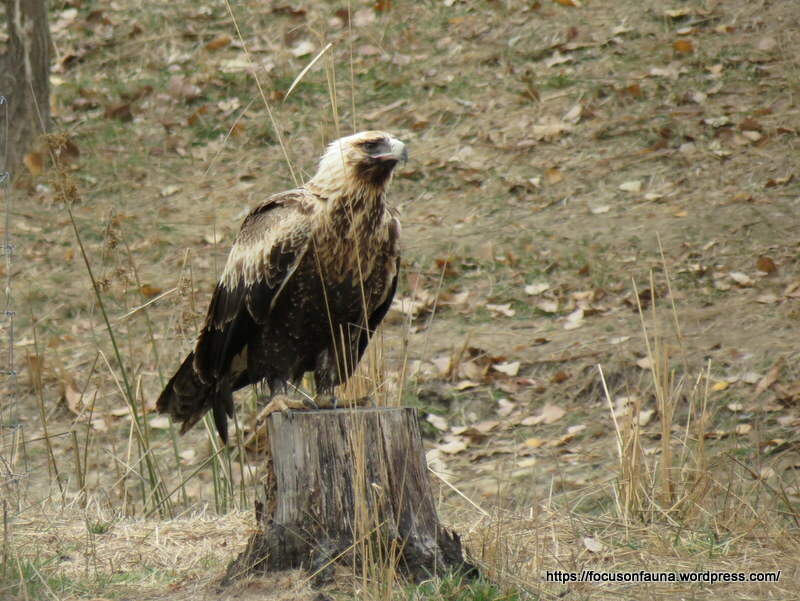 This magnificent young Wedge-tailed Eagle (Aquila audax) provided us with a rare close-up view as it perched next to a dam in a Strath Creek paddock. We know it’s youngish from the straw-coloured plumage on its nape and across its upper wings. The plumage gradually darkens with age, developing into mostly black after about 5 years old. Wedgies soaring above the King Parrot Valley are quite a common sight these days, and they can also be seen on the ground, either feeding on carrion or just resting on a hillside – but it’s not usually possible to approach as closely as this one allowed. Despite its species name ‘audax‘ meaning bold, they are generally fairly shy and wary.